ComputerTips_Laiju: This page can't be displayed | Internet not working | Works in Windows Xp, 7, 8, and Windows10. This page can't be displayed | Internet not working | Works in Windows Xp, 7, 8, and Windows10. Internet Explorer is a popular web browser coming with all Microsoft windows operating systems. This is very easy to use and most people enjoying this browser. You can manage its favorites and addons very easily. there is some tools for troubleshooting also. If you are a regular user of Internet Explorer, you may face some problem related to 'This page cannot be displayed'. There are some problems which will effect the internet explorer. If you have this problem 'this page cannot be displayed' you have to check something on your computer. 1. First you have to check any other website that you open very often. If the page open properly, the problem is the website you tried before. The web address may e wrong or the web server may be down. If this page also not working, we have to troubleshoot the internet explorer. 2. 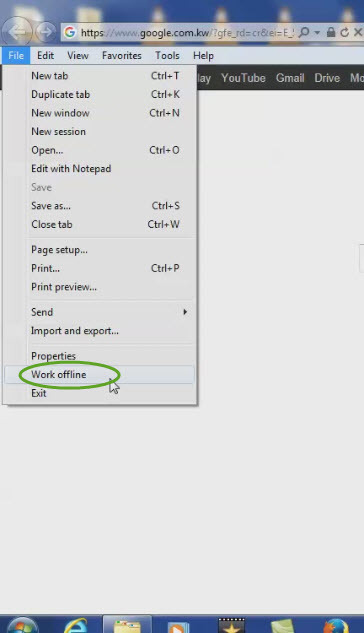 Verify that you are not using Internet Explorer in 'Offline mode'. 3. Delete Browsing History: Too many cached IE files may cause problems with pages loading, which can cause the Page Cannot Be Displayed error. 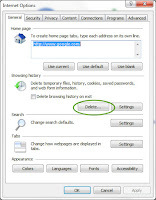 To delete cached files, Click Tools on the toolbar and select Delete Browsing History. 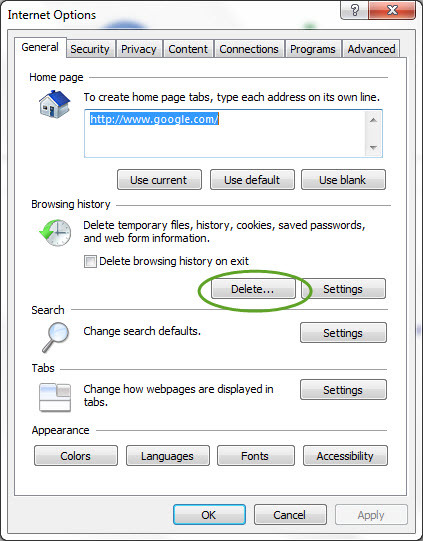 If you do not use Internet Explorer to save passwords on websites, click the Delete All button. Otherwise, click the buttons to delete Browsing History, Cookies, History and Forms. 3. Start Without Add-ons. 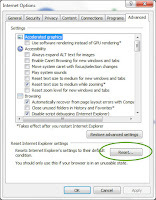 An add-on is a program that connects itself to Internet Explorer. Some add-ons are coming with some applications. When you install a program, there may be some add-on like google toolbar,yahoo search bar, web companion etc. A damaged or problematic add-on, can cause 'this Page Cannot Be Displayed' error. To try Internet Explorer without add-ons, go to the Start menu - All Programs - Accessories - System Tools. Select Internet Explorer (No Add-ons). An Internet Explorer window will open without add-ons. Here you can check the website page. If it work properly, you have to disable some add-ons. For that, open Internet Explorer normally and turn off all add-ons by going to the Tools menu, Manage Add-ons and clicking Disable unwanted Add-ons. 4. 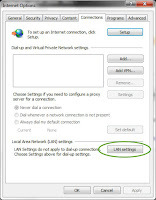 Proxy Server Settings: Some times when you install any program, that will also install some VPN applications (if you are unchecked that while installing). That will cause entering some proxy server address on your network settings. 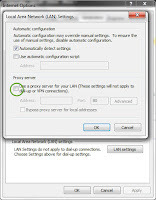 If you are not willing to use any proxy software, it is recommended to uninstall any proxy vpn hotspot shields from your computer. 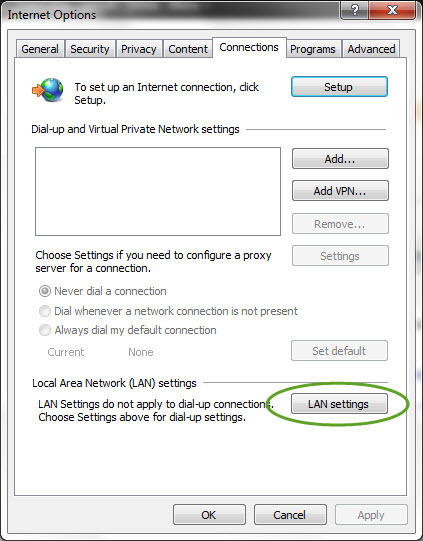 For manually removing the proxy settings you can click on Tools-internet Options-Connections-LAN Settings. 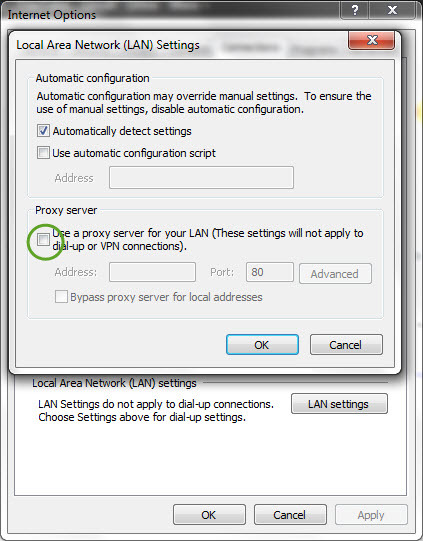 And now here you can uncheck the proxy server address use. 5. Reset Internet Explorer. 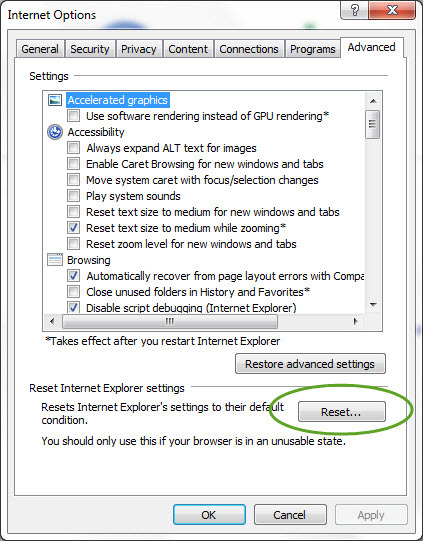 If the problem exist even after doing all these steps, you can reset the Internet explorer. For that, click on Tools - Internet Options - Advanced - Reset. If you have any questions or suggestions, please write it on comment box. that will help many.